When Susan McClurg’s parents accept a job transfer in 1957, Susan is plucked out of her familiar and routine existence in Orange, Texas and plunked down in always-hot oil-rich Maracaibo, Venezuela. While too tall, preteen Susan struggles to make new friends at her American school, she comes to grips with life in a country peppered with revolutions, strikes and mandatory curfews. When Pat, Susan’s older sister, flies to Maracaibo for her summer break from college, the naïve McClurg family takes trips to Colombia and Caracas. Maracaibo Oil Brat © 2013-2019 Susan McClurg Berman. All rights reserved. Published by Andrew Benzie Books. Website by Andrew Benzie Creative Design. 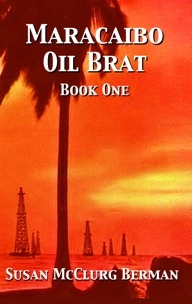 Maracaibo Oil Brat Book Launch Party a Huge Success! 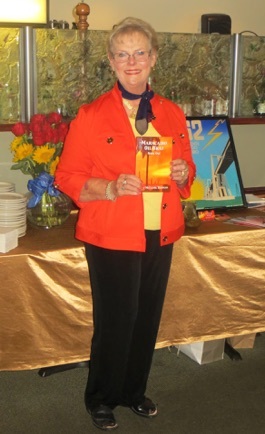 Susan would like to sincerely thank everyone who turned out on October 27th at Terzetto’s Restaurant in Moraga for making the event a huge success. 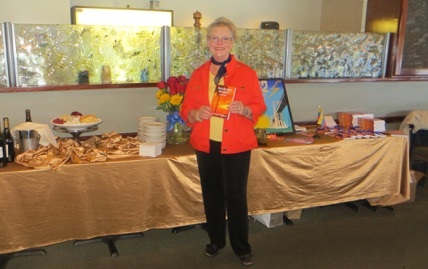 Susan talked about the process of writing her book and read several excerpts while her guests enjoyed tasty hor d’oeuvres and fine wine. Thanks everyone! Maracaibo Oil Brat author Susan Berman was recently interviewed by the Writers On the Journey Blog—read the interview here. Maracaibo Oil Brat author Susan Berman will be speaking at the Walnut Creek Library, 1644 N. Broadway, Oak View Room, on May 14 on the topic of “So You Want to Be a Writer.” She will be one of a panel of three carrying on a lively discussion regarding individual writing processes, the most difficult part of their writing, and their current projects.